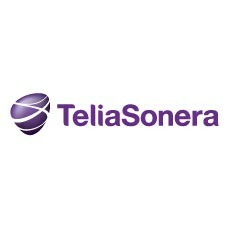 With the investment in Springworks, TeliaSonera broadens its m2m and IoT (Internet of Things)-portfolio with new capabilities that is key to businesses developing IoT-solutions across industries. The investment forges a strategic partnership with a truly innovating company that has pioneered building smart human interfaces for IoT-solutions as well as developed a cloud based data analytics platform to harness the insights generated by the technology. Businesses across industries are now going through a digital transformation. As a result many of them are exploring the opportunities offered by the IoT, which include developing new types of connected applications and services. The market for IoT solutions is therefore growing fast, in Nordics alone at around 23 percent annually until 2018, reaching EUR 9.1 billion. “The investment in Springworks is a good example of another achievement on our journey to a new generation telco. The IoT is a growth area for TeliaSonera. By adding Springworks’ capabilities to our own we are strengthening our m2m-portfolio and the ability to help our customers leverage the Internet of Things to drive further business value from connectivity”, says Hélène Barnekow, Chief Commercial Officer at TeliaSonera. Springworks is a pioneer in building smart human interfaces for IoT-applications, in the form of mobile apps and web user interfaces. The company has also a developed a cloud based data analytics platform for IoT-solutions that allows companies to process and analyze vast amounts of data collected by sensors, offering insights and enables new types of services to the end users. “With Springworks’ experience, know-how and technology we can offer new capabilities that are relevant to businesses developing IoT-solutions in just about any industry. By connecting an innovator like Springworks to our network of customers and partners around the globe we can also help spur innovation in the IoT ecosystem”, says Hans Dahlberg, head of TeliaSonera Global M2M Services. “The funds generated by the investment will enable us to continue developing and enhancing our services. Another important benefit is that we now have access to TeliaSonera’s network of partners and customers around the world, which can help us further grow our business and global footprint”, says Erik Ramberg, CEO at Springworks.